Purchasing a home can be stressful for most people, but with a little up-front planning, it’s not that difficult. I like to give buyers an overview of the entire deal so they’ll understand exactly what they can expect. These are my nine steps to buying a home. There are many things you should do before starting your home search. You’ll most likely want to assemble a checklist of items you want, get a feel for what school districts you want to live in, and start planning your budget. A good guideline to follow is that your mortgage payment should be less than or close to 30 percent of your monthly income. This is where I can help. I can set up a time to meet so we can talk about your real estate needs and get an idea of your plans for the future. We’ll discuss neighborhoods, schools in the Clearwater area, the mortgage industry, and any other economic factors that might affect your purchase today or in the future. In addition, I’ll help you get started on your loan. There are some great mortgage professionals in Clearwater, and I work with a lot of them, so you’re in great hands. They will assist you in determining which kind of loan is best for you and help you get qualified. Following our first meeting, I’ll begin looking for houses on the market that are great for you. I’ll get a sneak peek of most of the houses and remove the bad ones, and then we’ll book appointments to tour the homes whenever it’s convenient for you. As we tour the homes, I’ll show you the good features, as well as negative ones. I’ll even ask you about things you like and dislike. As a rule, buyers change their list of must-haves as we view homes and some things become far more important than others. If that happens, I’ll search all the listings once more and trim it down to the house of your dreams. Your agent’s awareness of the Clearwater home market is a leading factor in your house search. And I can assure you I’m mindful of all the schools and neighborhoods, and I’ll communicate some districts are “hot” and warrant immediate action and the rest that are “cool” and allow for more examination. As we tour houses, I’ll let you know when the seller’s list price has room for negotiation and also when I think the home is “priced to sell.” Be mindful and make sure you ask your agent a lot of questions, as any REALTOR® will tell you they know the home market. If it doesn’t seem like they know everything, call me at (727) 443-5000 or e-mail me at Brian@stonebridgerealtors.com, and I’d be more than happy to answer any questions you might have. My understanding of the market will keep you a step above the rest throughout the entire process. I’m sure we’ll find the home of your dreams in Clearwater. When we do, I’ll carefully create your real estate purchase offer. The offer will be tailored with your needs in mind, including a lot of contingencies, such as acquiring financing, carrying out the home inspection, and a clear title. When submitting your offer, you’ll need to present “earnest money.” This is a cash deposit made to the home seller to secure an offer to buy the property. The amount is typically put towards the closing costs. If the offer is accepted, we should close within 30 to 60 days after. This allows sufficient time for your mortgage financing. A lot of deals aren’t closed on the beginning offer, and it’s extremely common to receive a counter offer. Don’t let it alarm you. We’ll talk over whether or not to consent to the counter offer, present our own counter offer, or decline the seller’s offer and go on. Market conditions determine how aggressively we negotiate the contract. We’ll also work within your financing budget. And at the end of the day, we’ll assemble a contract that’s best for you. 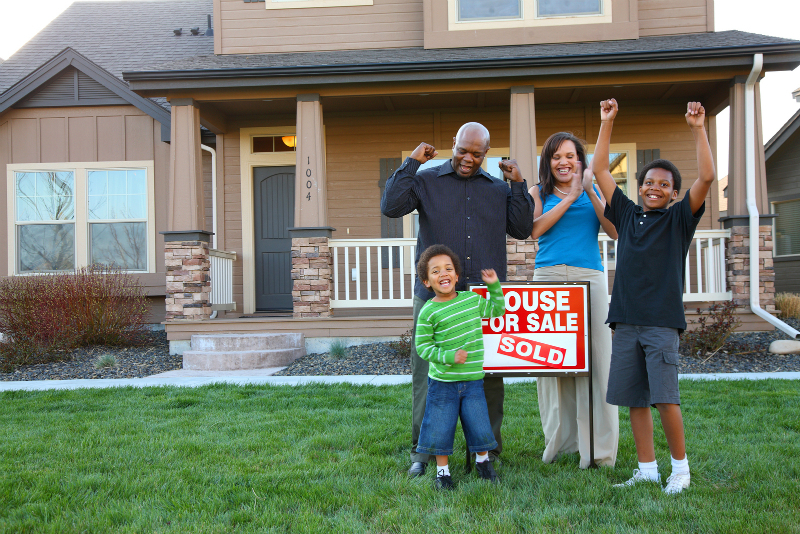 Upon finishing the contract, you’ll begin working with your lender to close the loan. If you’re already pre-qualified, this won’t be a long process at all. But you’ll want to keep in close contact with your mortgage lender. And I’ll look after all the property information your lender needs to close the loan. Your lender will supply you with a Good Faith Estimate (GFE) of closing costs within three days of taking your application. The estimate is based on the loan amount. RESPA requirements mandate that it has to include all closing costs and fall within a narrow range of accuracy, and I’ll study the estimate and let you know if everything looks permissible. Then we’ll close on your house. This will most likely occur at a title company or escrow office and will likely be a smooth and easygoing occurrence. Success! It’s time to move into your new house. Enjoy it. And if you need anything or have any questions, make sure you contact me at (727) 443-5000 or send me an e-mail.